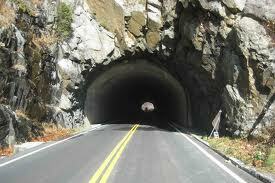 Have you ever gone through a very long tunnel like the Eisenhower Tunnel in the Rocky Mountains? This tunnel was drilled right through the mountains so cars and trucks could pass through. It is over 1 ½ miles long! Maybe you play a game with your family of holding your breath when you go through tunnels. 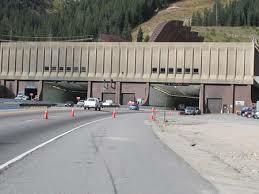 All About Tunnels: This is the Eisenhower Tunnel. The first tunnels weren’t used for travel, but for carrying water. Romans built elaborate tunnels to carry water from mountain springs. They also built tunnels to carry waste water away from the city. Today, tunnels can be built underground to carry people. These tunnels are called subways. Some tunnels run under oceans, rivers and mountains. Soft soil tunnels are those that are built through soil, instead of rock. Soft soil tunnels are those that are built through soil, instead of rock. These tunnels are the simplest to dig but they need a retaining structure to keep the soil in place so the tunnel doesn’t cave in. Rock tunnels are built through rocks and mountains. Years ago, engineers built railroad tunnels through mountains. They had to blast the tunnels with dynamite, which was very dangerous. Today, rock tunnels are built with special boring machines that chew up the rock. Rock tunnels don’t need much support because the rock is hard and stays in place. Underwater tunnels are hard to build because the water must be held back while the tunnel is built. 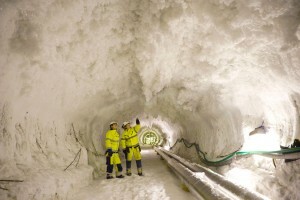 Engineers use special pre-made tunnels that fit into place. The English Channel tunnel, first opened in 1988, took more than six years to build and cost $16 billion to build. 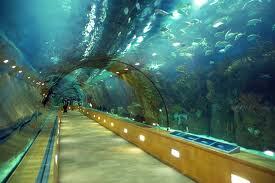 The tunnel runs for 23 miles underneath the ocean at a depth of 150 feet below the sea bed. Everyday people travel by train between England and France through this tunnel. Rock tunnels are built through rocks and mountains. Years ago, engineers built railroad tunnels through mountains. A video inside the Big Bend and Great Bend Tunnels. Question: How did ancient tunnel builders build tunnels without modern tools? Answer: One way they built tunnels was by setting fires. Ancient Egyptians built sewer tunnels by heating the rocks with fire. Then they threw cold water on the rocks. This change in temperature caused the rocks to crack and break. Thousands of slaves died building these tunnels because of toxic fumes and heat. Enjoyed the Easy Science for Kids Website all about Tunnels info? Take the FREE & fun all about Tunnels quiz and download FREE Tunnels worksheet for kids. For lengthy info click here.